Southern Africa’s still waters support a vast number of aquatic food sources, many of which will, at some stage during their life cycle, suspend within the water column and become effective food sources which can be imitated using the dead-drift technique. Although some of these sources differ slightly in size and colour, they are pretty similar to those found in still waters across the world, making this technique applicable abroad with only minor fly alterations. Several of these food sources are great to mimic with a fly using this technique, but, for the sake of brevity, I will cover just three of them – midges, cainflies and fresh water snails. Midges, often referred to as chironomids or buzzers, belong to the family Diptera (meaning two wings) and are similar to a mosquito in life cycle development and appearance. They are so prolific in some still waters that some experts say it is possible to count an astonishing 10,000 larvae per square metre. 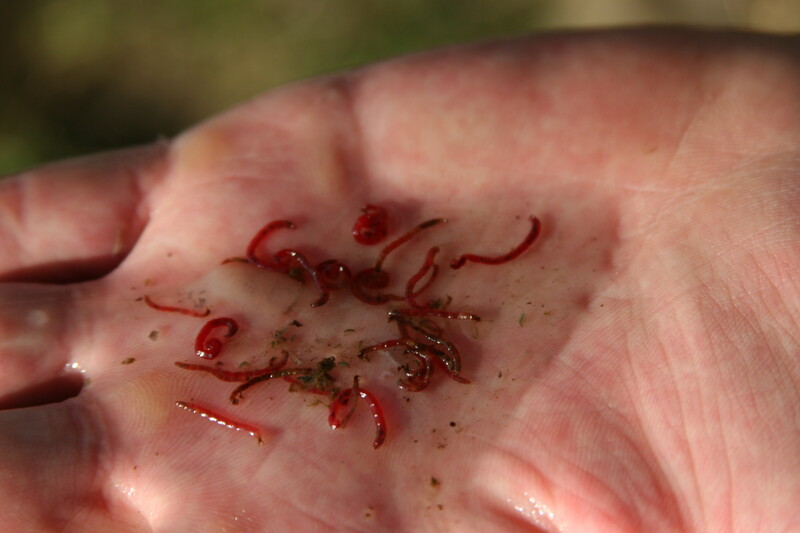 Yet, despite their abundance and importance as a food source, fly anglers may not always have the knowledge or sill to effectively imitate the stages of the hatch, and the fish ignore all other offerings during a feeding frenzy. The midge’s life cycle can be divided into four complete stages: egg, larva, pupa and adult, of which the first three are aquatic and the fourth air-breathing. Only the larval, pupal and adult stages are really important to imitate. However, I will concentrate on just the larval stage, as this is the stage that is mostly predated upon by fish species such as trout and can be commonly found in the stomach contents of still water fish. The wormlike larva sometimes attaches itself to structure on the bottom but is often free-swimming and suspended off the bottom. If not attached to some top structure, the larva hugs the lower part of the water column, which is why, when prospecting for fish, the depth that the imitation is fished at should allow it to hang as deep as possible (without snagging the bottom or weed beds). Many different midge species make for a great number of fly imitations, but in my opinion the most simple and effective are the San Juan or Atomic Worm. In the late evening or early morning, fish can frequently be seen moving and feeding just below the surface. This is often a good indication that midge pupae are plentiful, having transformed en masse to the pupal stage and are moving up the water column on their way to transform into adult midges. Because this pupal stage happens within a specific time (with greater numbers in the early morning or late afternoon), it should not necessarily be a stage used to imitate when prospecting for trout, but rather when fishing the hatch. These pupae often suspend just below the surface in a vulnerable stage, so fish the fly shallow, just below the surface (this is for another article). Many anglers fish the San Juan and Atomic Worm in still waters because they have heard these are fish takers, but hopefully they will now understand why the pattern is so effective. The second important food source to consider is cainflies, particularly the nymph stage. The Caenis mayfly (order Ephemeroptera, family Caenidae) is a small invertebrate that spends most of its life as an aquatic insect. The nymphs crawl around at the bottom of still waters and prefer silt or soft, muddy areas. They feed on rotting plant material and often flee from predators such as fish. Not unlike other mayfly species, they have five major life cycle stages: egg, nymph, emerger, subadult (subimago) and adult (spinner or imago). If is very difficult to imitate the air-breathing stages (subadult and adult), mainly because the flies are so tiny and are found in such masses that your little imitation gets lost in the mix (unless you cast directly in front of a rising fish). To successfully imitate these tiny flying mayflies, you need to use a very small imitation such as #18 – #22. And to successfully fish such a small pattern, you would have to use 6X and even 7X tippet, which I feel is just fooling around. Not that fishing such small patterns and thin tippet is wrong on a small stream, but there are better ways to target fish. These insects need to hang or cling onto structure to shed their subadult (submago) shuck and transform into the adult (spinner or imago), and streamside plants, trees, rocks and the odd angler on bankside will suffice. Once they have become adults, they can be seen flying in clouds and spirals above the water’s surface, usually in greater numbers during summer. The caenis nymph is approximately a #18 imitation but you can get away with using a slightly larger fly such as a #16 or even #14. The more technically minded among you can always first study the nymphal development and stages leading towards the hatch before imitating them, but I find the most effective patterns to prospect with are the PTN, PTN Flashback, brown Flashback Nymph, Hare and Copper Flashback or similar. Prospecting with such small nymphs can be done suing only a single fly, but fishing it below a slightly weighted or larger nymph in tandem works really well. Fish these small nymphs using 4X or 5XX tippet and a long tapered leader. A third important food source to imitate when considering the dead-drift technique, and one that is seldom imitated, is the fresh water snail (phylum Mollusca, class Gastropoda) that is found in most established still waters. 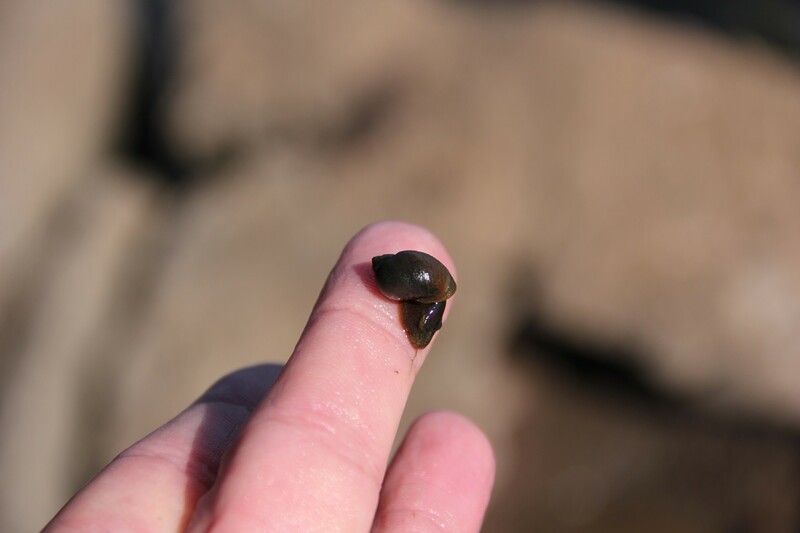 These aquatic snails feed on algae, weeds and other aquatic plant material. They often dislodge from the weeds when water birds such a scoots dive down and bring up weeds from the bottom, or when strong winds create water movement. Once they’ve lost their grip, they drift helpless within the water column and become easy prey for fish that constantly move around still water systems looking for food. Snails die en masse after depositing their eggs, and I have seen fish gorge themselves to a point where their stomachs bulge. Again I am not referring to hatch fishing or fishing in stages where snails are found in abundance, but rather when prospecting with these imitations. Snail imitations can be fished in tandem at different depths in the water column below a strike indicator. Remember that the strike indicator does not only show when the fish takes the fly but, most importantly, keeps the flies from sinking to the bottom and/or snagging. The small, spiral-shell mollusks do not swim freely, and need to sink to the bottom or cling to structure so they can move to where they can feed. It is difficult to tie or buy an imitation that, to the human eye, resembles the snail, but, if fished using the dead-drift, impressionistic flies such as the Peacock Snail and Coch-y-Bondhu work well enough. All three of the food sources discussed in this article are most commonly found in conditions where trout survive, without being fed, in still water systems. 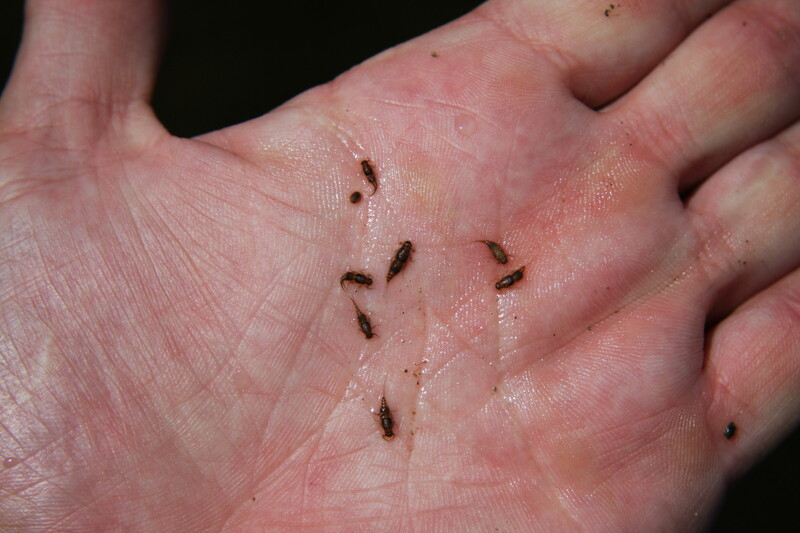 The first two (midge larva and Caenis nymph) can be fished using the dead-drift and occasionally lifted off the bottom when executing the wiggle lift or, for that matter, the Leisenring Lift. The snail cannot flee by swimming away, so when these lifts are performed while fishing a snail pattern, fish might react to the movement and not because they see it as a snail. Before I started exploring the dead-drift technique in still waters many years ago, I would often hook the odd fish on an attractor pattern while fish were going crazy feeding just below the surface. This frustrated me immensely, as I knew that, if I could figure out what they were feeding on, then I should be able to match the hatch and hook many more. Later, and after pumping the stomachs of many still water fish, I started realizing that still water fish do not only feed on a hatch or when aggravated, but also constantly move around in search of food suspended in the water column or that hugs the bottom. With this little bit of knowledge to help with the still water dead-drift technique, food sources such as the angler’s curse could eventually become the angler’s friend.